Coins and medallions come in different designs. Although it is more common to see Military Coins and Medallions in the market, there are other designs that you can choose from. Show your spiritual side with spiritual coins and medallions. Coins should not only be a source of currency but instead something which can be collected and cherished forever. This includes the spiritual side of individuals. Spiritual Coins and Medallions give collectors the opportunity to show off their faith within their collections. They feature different things such as the cross as well as a medallion honoring a hero. They also have Bible verses placed onto Spiritual Medallions in order to never have to feel distant from their beliefs and faith again, including inside their collections. Collections shouldn’t be limited to what is glamourous or shiny but instead be open to shedding light unto what collectors believe in. Although, even those who don’t find themselves active in their faith can find joy in collecting these coins due to their appealing nature and relatively small size. Perfect for both collectors and those looking to give a gift to a loved one, Spiritual Medallions are a must-have for all. Show your spiritual and religious side by wearing spiritual medallions. They come in different styles and designs so you are bound to find the right one that matches your beliefs. What is great about them is that they can be worn by everyone. These medallions are decorated with holy images to guide you. Just like Military Coins, spiritual coins are made from brass and other hard metals so they do not easily dent with pressure. 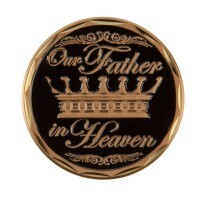 But aside from spiritual coins and military coins, there are other designs that are available for you to buy. If you want to get coins and medallions that come with peculiar yet interesting designs, then will definitely love Novelty Coins. These coins and medallions come with random designs so you will definitely find the right one that suits your preferences. The thing is that there are many types of coins and medallions at your disposal so whether you are choosing Novelty Coins and Medallions and spiritual coins, you will definitely make the recipient happy.